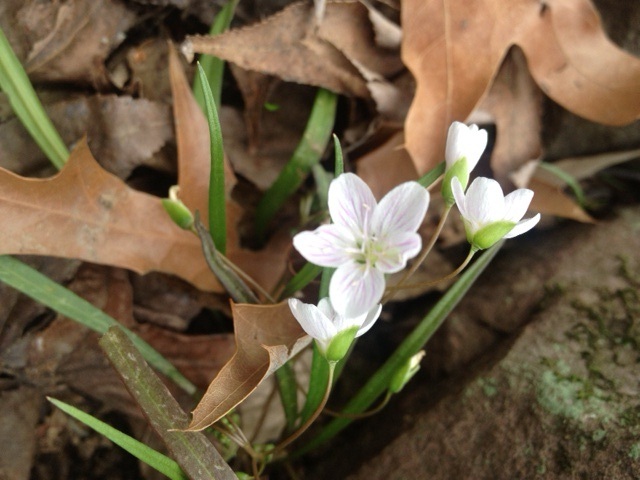 Blooming plants along the trail have you mystified? Is that a native plant? 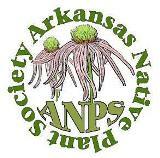 Learn about Arkansas plants at the Spring 2013 Arkansas Native Plant Society meeting. This year the meeting will be held at Subiaco Academy near Mount Magazine. Plan to join us on the nearby trails exploring Arkansas with the experts who can answer your questions. Location: This year we are going to be at Subiaco which is located in the foothills of the Ouachita Mountains, on State Highway 22, 50 miles east of Fort Smith, 110 miles northwest of Little Rock, and 5 miles from Paris, AR. The beautiful sandstone abbey church dedicated to Saint Benedict and Our Lady of Einsiedeln is the heart of Subiaco. On October 19, 1952, the monastic community of Subiaco broke ground for the construction of a much needed abbey church. The finished product has Romanesque arches and multi-colour stained glass windows from Munich, Germany. Other buildings enhance Subiaco’s landscape, notably the monastery (the living quarters of the monks), the Subiaco Academy complex, and the Coury House. We have reserved the Coury House for the Spring 2013 meeting. This facility includes both the meeting room as well as the guest rooms. The following options for food and lodging have been arranged for your comfort and enjoyment. There are 30 rooms available, most with two twin beds. Contact Carol Geels, cgeels@subi.org or (479)934-4411 for reservations. Rooms will not be held past April 15th. Please mention ANPS when making reservations. There will be no food options available other than those stated above. Please consider the pot luck Friday evening as the supper option for that night. Everyone needs to bring a closed beverage container for personal use during the group meeting/potluck. No open beverage containers are allowed in the meeting facility. It is also a good idea to bring food/snacks for lunch between Saturday hikes. Sign up for field trips that are held on Saturday morning, Saturday afternoon and Sunday morning at various locations at or near Mount Magazine State Park. ANPS t-shirts will be available to purchase. For more information about the t-shirts click here . Speaker: Don Simons, interpreter at Mount Magazine State Park, will present “Early Arkansas Naturalists”, the men that visited the Arkansas River Valley in the early 1800’s. He will also provide a quick overview of the mountain’s geology and flora. This information will be put to use on several of the hikes scheduled for Saturday and Sunday on Mount Magazine. Saturday morning breakfast will be served at 8:00 am after which the groups will disperse on various field trips. Saturday lunch will be on your own or on the trail. Restaurants in Paris include the Grapevine Restaurant, El Parian, Rogers, KFC/Taco Bell, Subway, Thai, Pizza Hut, McDonalds, and Sonic. 6:00 pm Supper will be served for those who are staying at Subiaco. 7:00 pm Guest speaker Dr. Don Culwell, retired Biology professor from the University of Central Arkansas, will present a narrative on the “History of the Arkansas Native Plant Society.” He will emphasize how the group started during the 1978-1980 time period. Sunday morning breakfast will be served at 8:00 am followed by more field trip opportunities. This entry was posted in Chapter Meetings and tagged Spring meeting. Bookmark the permalink.